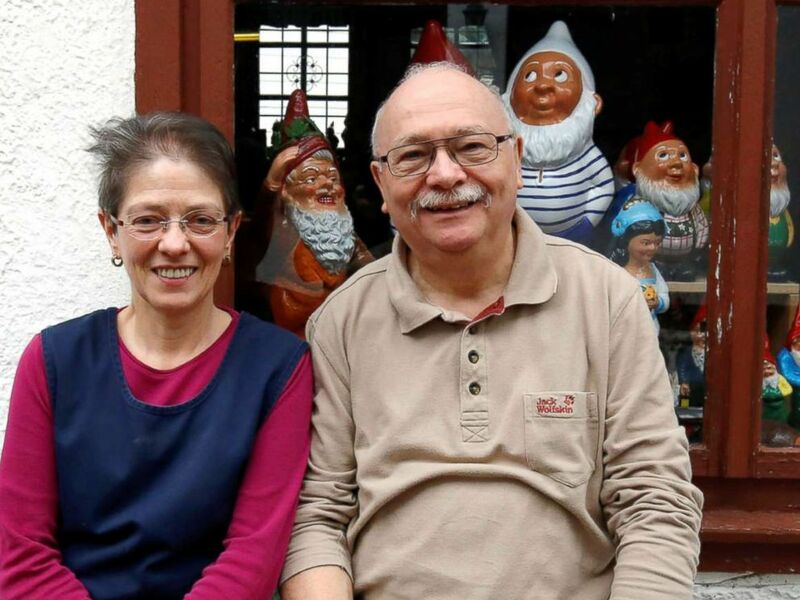 One of the last traditional gnome manufacturers in Germany is preparing to retire, and is looking for someone to take over his business. Add Germany as an interest to stay up to date on the latest Germany news, video, and analysis from ABC News. Reinhard Griebel, owner of the firm Philipp Griebel in the village of Grafenroda, Germany, told Reuters Television that the 145-year old family business is at risk of closing after he stops working. Reinhard Griebel, owner of Garden Gnome Manufactory Philipp Griebel is pictured in Graefenroda near Erfurt, Germany, March 5, 2019. Griebel even joked that the company manufactured “lady gnomes,” which might save the industry by reproducing with their traditional male counterparts. The village of Grafenroda, which is home to just 3,550 people, credits itself as the birthplace of the garden gnome, according to the village website. Griebel told ABC News that his gnomes are "niche." "It's a tradition here in the Thuringian forest in Grafenroda to make gnomes out of terra cotta," he said. The Phillipp Griebel company was founded in 1874, and is now in its fourth generation as a family business. It began making gnomes around 1880 -- Griebel said they were often depicted "as a miner with a shovel, or lantern, of course, and as a man with a beard and pointed hat." 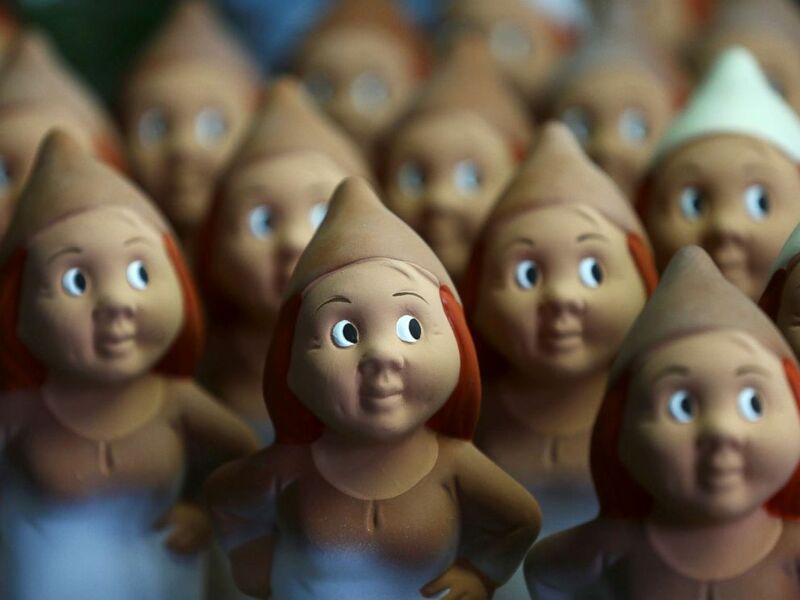 Aside from the Phillip Griebel store, the company opened a museum at their original production site in Grafenroda, where enthusiasts can visit to learn more about the history of gnomes. Reinhard Griebel and Iris Umbreit are pictured at Garden Gnome Manufactory Philipp Griebel, in Graefenroda near Erfurt, Germany, March 5, 2019. Garden gnomes are pictured at Garden Gnome Manufactory Philipp Griebel, in Graefenroda near Erfurt, Germany, March 5, 2019. At the height of Phillip Griebel popularity in 1989, the company employed over sixty people, according to Reuters. Today it employs just three. Griebel maintains, however, that the allure of gnomes -- or dwarves -- remains timeless. "Our dwarves are still popular -- dwarves don't quarrel, they don't complain and they look very colorful. Our dwarves are popular because they are the originals from Germany."